The first one, a big residence, with five suites, generous living and leisure spaces, in addition to the service dependencies. 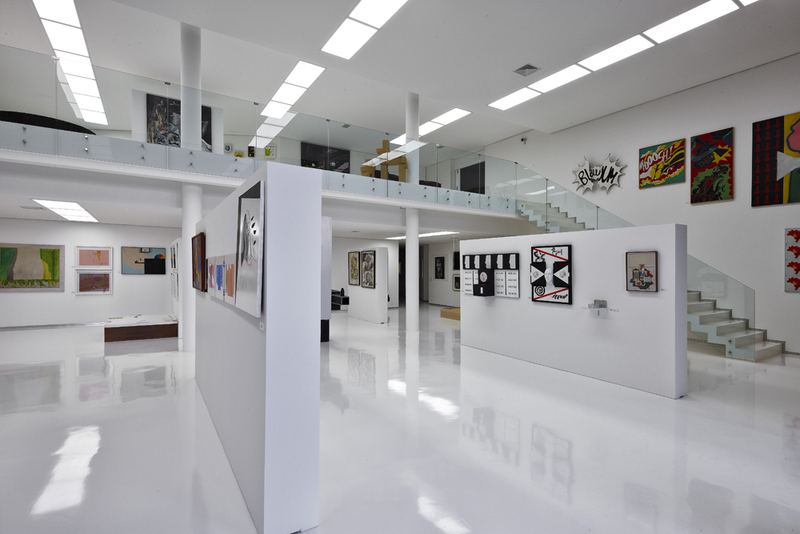 The second, a large gallery for the owner, an art enthusiast. The shape of the site, at first glance a complicating factor for its irregular form, guided the project. In the existing vertical gap (10 meters in total), the first action: different uses in different levels. In the lower level, the gallery, the stereotomic volume. With the need for an air-conditioned closed space, the volume arises from the ground like a big rock, a big platform. 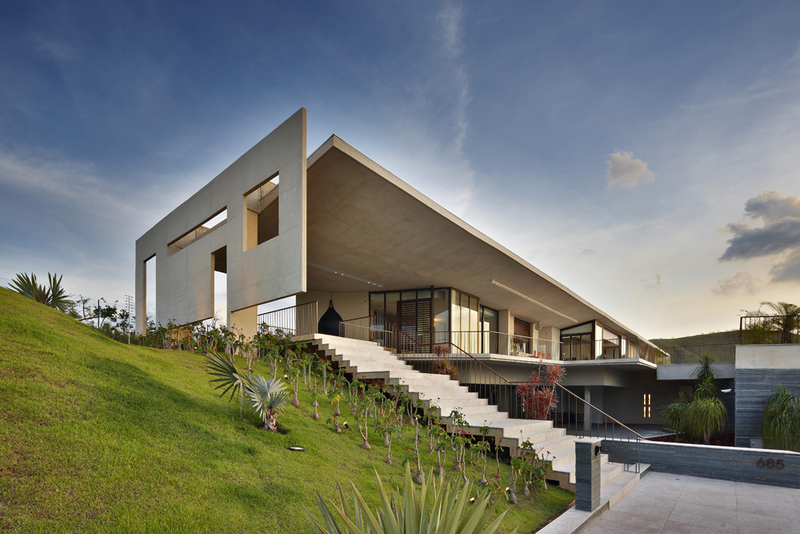 At the top level, the residence, the tectonic volume. 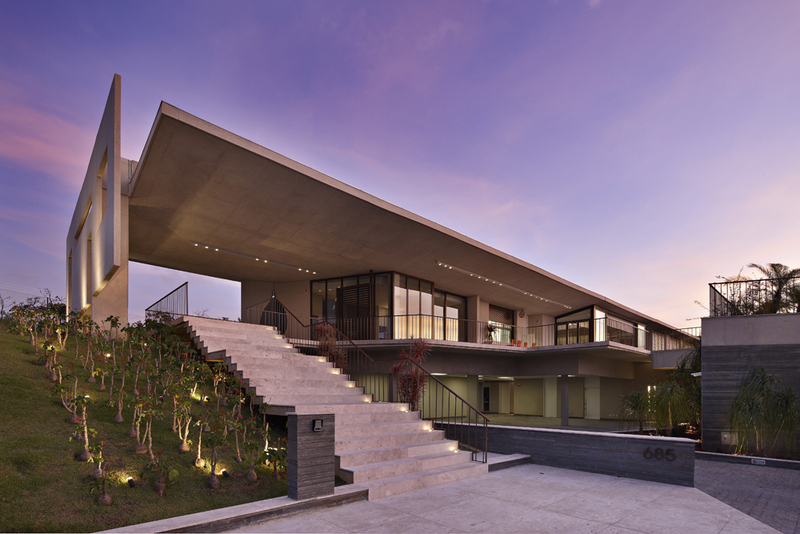 And the second action: to get the most of the existing views, the residence is distributed under a continuous roof (81 meters), constituted by a reinforced concrete portico. 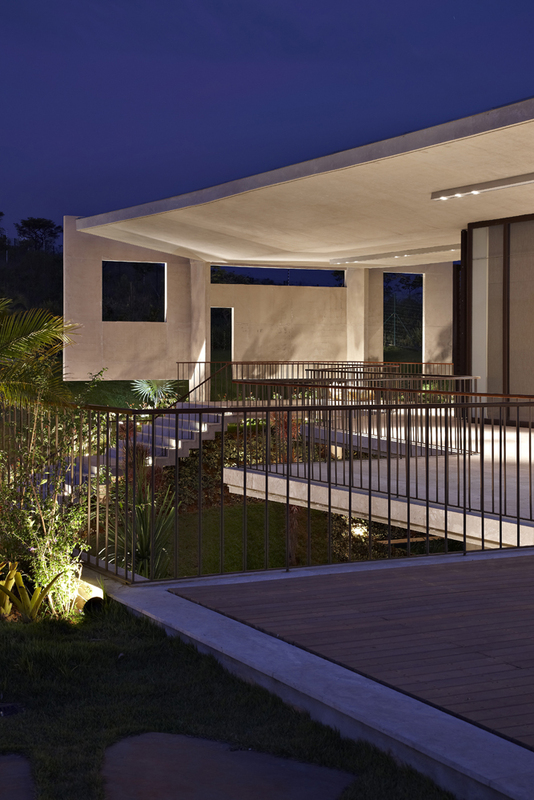 This portico sets the residence´s built volume. And the residence is distributed under the roof, according the needs of each space: access , recreation area, kitchen, living room, bedrooms. 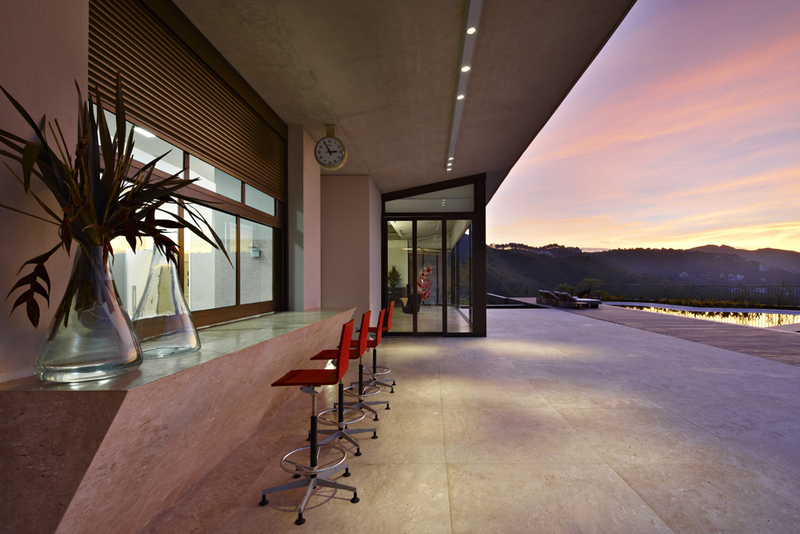 The existing views guide the various openings: from every room one sees the mountains. The main entrance is marked by a void at the beginning of the portico. From there, different occupations under the cover create the enclosed areas (sauna, kitchen and bedrooms) and the opened ones (porches). 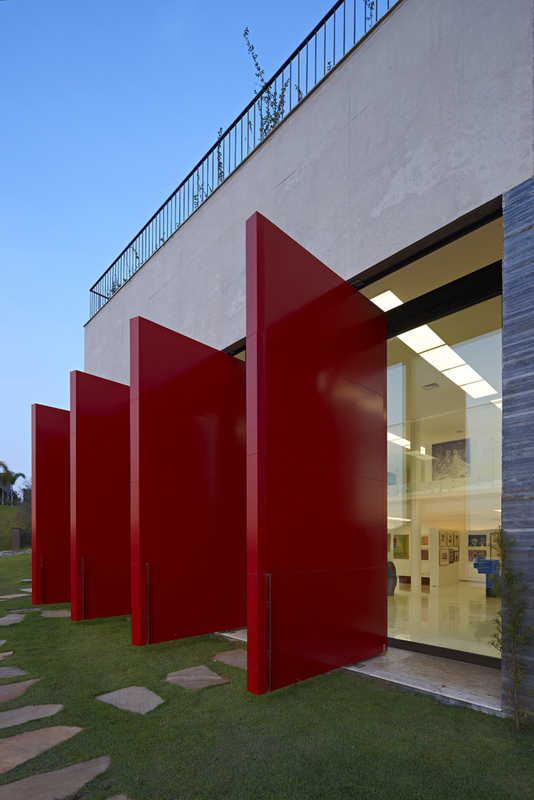 These opened spaces are extended over the gallery coverage through a large deck, a pool and garden areas. 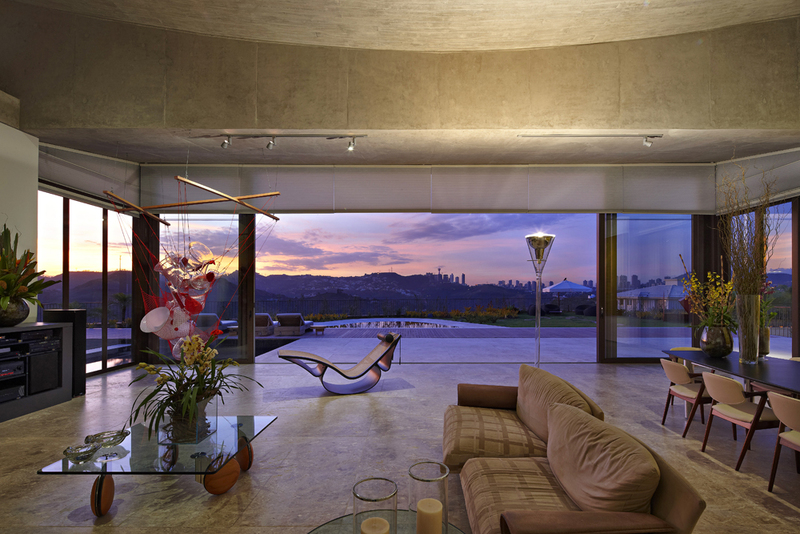 Communication between the various levels of the residence is made by a central core that contains an elevator. 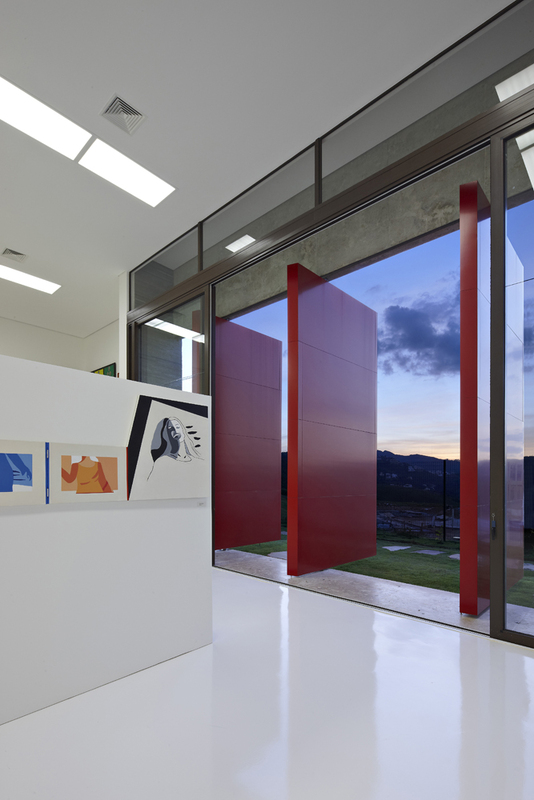 It connects directly the first level of the gallery to the residence level. In an intermediate level, it connects the service and garage floor (and the mezzanine of the gallery).